Today, we have Jagruti, the most enthusiastic foodie blogger is with us. She is a Commerce Graduate who love to cook, read and travel a lot. Let us hear what she says..
Nithu's Kitchen: Tell us about you. Jagruti: Originally I am from Ahmedabad, India. While studying, met my Prince Charming from london....Simply by asking him if he owned a washing machine! in reply he asked me "will you marry me?" So got married in one week and now settled in the U.K since..Blessed with two beautiful children Hayley and Yash Krish..I have lots of hobbies and interests..and love to cook read and travel. I do read a lot, from fictional to cookbooks, also confer with my children what books we have all been reading and I end up reading their books too! which results in long debate after. Nithu's Kitchen: Good to know about you. Please tell us something about your favourite author and his books. 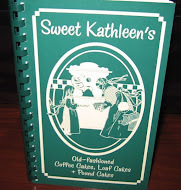 Also, tell us about the cookery book you follow. Jagruti: I read many authors book but, one in particular that stood out was a novel by Barbara Taylor Bradford called "Dangerous to Know". I don't follow any cookery book for my daily cooking, just use my own instincts..the only cookery book I own has been with me, which my mum bought in 1978...it's like a bible to me!! yes, but I do watch cookery programmes on TV. 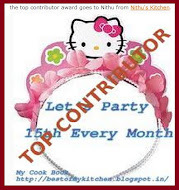 Nithu's Kitchen: It is great that you could come up with so many dishes on your own. You said, you travel a lot. Can you share us an interesting anecdote that happened during your travel. Nithu's Kitchen: That is really funny. Whom you consider as the role model for cooking and when exactly did you start to cook? Nithu's Kitchen: As you have travelled extensively, you should have tasted lot of cuisines. Which food/cuisine you consider as the best? Jagruti: We are very happy in trying out all of the different cuisine, and we like most of them, so I do make sometimes but, nothing beats our all time faviourte Daal-Roti!! Jagruti: Ah! that's the tough to answer....there are lots but, the one that brings everyone at the dining table on time is Bhel-Puri..
Nithu's Kitchen: What do you have today to share with us. Nithu's Kitchen: Why did you select Indian way of Instant Fruit salad today? Any reason behind this. Add saffron, cardamom powder and dry fruit in evaporated milk and heat the milk just for 2 minutes in Microwave. Leave a side untill you see milk is picking up the saffron colour. In another bowl mix all the fruit and sugar,when you ready to eat serve with saffron milk...don't mix both things together only when you are ready for your desserts.Enjoy!! Thanks Jagruti. Hope you all enjoyed reading about Jagruti and her wonderful fruit salad recipe. I'm happy to invite you all for the guest post. If you are interested, please do mail me at nithuskitchen@gmail.com. Click here to read Guest Post - 1. Nice reading abt you jagruti...shoe incident was really funny..lol...and fruit salad is one of my fav which is good for health as well as yummy for everyone....Was a nice guest post nithu, enjoyed reading it..
That was fun and interesting knowing more abt Jagruti. Truly a fun loving person, loved the fruit salad too. Nice to know about Jagruti :-) !! Nice to know more about Jagruti. That fruit salad certainly is a mouthwatering dessert. Loved reading abt jagruti.Very well presented Nithu.Can have fruit salad anytime. nice to read about u Jagruti.the fruit salad looks yum. 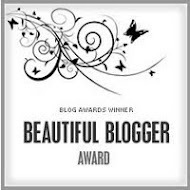 Awesome guest post! I love Jagruti's blog. Awesome guest post..looks so good. good work neetu..wonderful post and also good to know about jagruti..
thank you very much for giving me opportunity to come on your beautiful blog as your guest...it was my pleasure!! Nice to know more about Jagruti. Fruit salad looks yummy. Nice to know Jagruti. Thanks Jagruti for this yummy delicious fruit salad. Sorry Nithu. 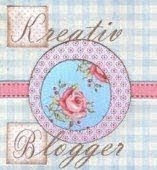 Just now got some time to check my mails & visit ur blog, after a hectic 4 days. Nice to know more about you... Fruit salad looks yummy..
Love this series, Nithu...it is awesome how you give us a chance to get to know other bloggers! Hey, Jagruti, its great to know a lil more abt u! 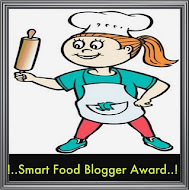 U are one of the most enthusiastic blogger..i know.. it is reflected in ur dishes and how u post them.. keep rocking! Nice knowing about u Jagruti .Fruit salad looks yummy! Good to know you Jagruti. Nice interview and a great recipe! Nice knowing about you Jagruti. You are such a fun loving person:-) fruit salad looks yummy!! Hi Nithu, I loved your idea of guest post! Its interesting and nice to know more about others! keep going! Hi Jagruthi,very nice to know about you and your experiences in short.I wish you many more of such beautiful memories in the journey of your life. Hi Nithu,this is a great way to bond through the blog and know each other. 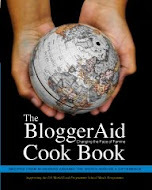 Before it was pen-pals and now it is blog-pals.Way to go! Nice to know about Jagruti and lovely recipe as well. Your fruit salad looks gooooooooooood. hehe......your husband has a talent to give the right answer to your question. That made a lovely read. Nice to know more about jagruti. Good job Nithu. The Fruit salad looks yummy , enjoyed the post . Cheers to both u ( Jagruti ) n Nithu . nice post..great to know more abt you dear!!! that's a nice delicious & easy fruit salad!! it was nice reading the post, glad to know more about Jagruti !! !